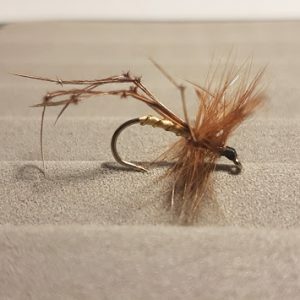 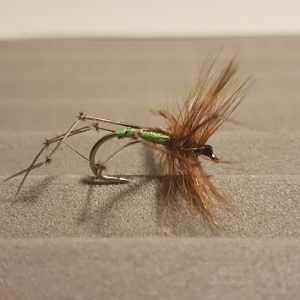 Hopper patterns offer real versatility as nymph emerger, dry fly and terrestrials, all tied with mobile tempting ‘legs’. 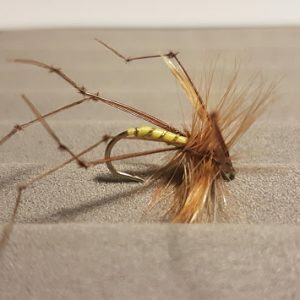 Many Daddy Longlegs or Crane Flies are on the water from June to early October. 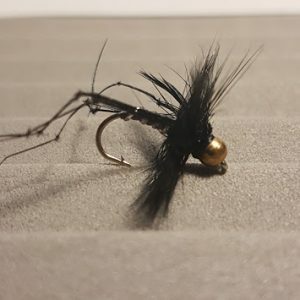 This fly makes a decent mouthful and will often tempt when small traditional pattern are ignored. 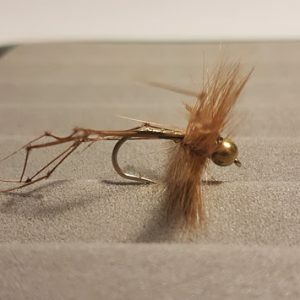 Created for surface fly fishing they also work extremely well as a wet fly on an intermediate or sinking line when fishing larger still waters or reservoirs.